It is not easy to find a house that meets all your needs and requirements (in terms of location, size, price, etc.) and suits your preferences (design, available features, etc.). So, when you finally find a residence you like, you may be willing to buy it even if it comes with some issues – such as water damage, for example. 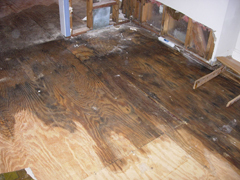 Buying a house with water damage is risky, of course – the excess moisture may have caused structural damage and safety hazards in the home (like unsound walls and mold) and may result in a variety of problems in the future (such as more expensive home insurance, mold related health issues, or even return of the damage if the source of the excess water has not been properly identified and correctly fixed). Yet, you can easily limit your potential loss and ensure your investment will be worth it, if you take the right precautions before closing the deal on a water damaged house. What caused the water damage – a natural disaster, burst pipe, leaky roof, or malfunctioning appliance? How soon was the damage noticed? How long has water been sitting in the home? What kind of damage was done and how severe was it? What actions were taken? Was the source of the problem fixed? How was the damage treated? Who performed the repair work and remediation procedures (if any)? Are there reports to show details of the restoration process? Was any testing done to prove that no hidden damage remains and the house has been restored to an excellent condition? Were the plumbing, electrical, and HVAC systems examined for problems? Once you’ve found the answers to these questions, you need to have the home inspected for underlying damage. Make sure you hire a certified professional who can provide a comprehensive water damage inspection, including the extent of the mold problem. An experienced home inspector will be able to detect any hidden damage – structural issues, foundation cracks, faulty pipes, etc. and check for mold and dry rot (both of which can be very difficult to notice and are extremely harmful as they can easily spread to other materials and cause considerable structural damage and severe health issues in the future). Your hired specialist will have to look behind wallpaper, under carpeting, and inside small crawl spaces and may even need to open walls (or use state-of-the-art non-invasive tests that can detect water damage behind or inside walls) in order to find any possible hidden problems and all potential hazards – a job that can only be done by a knowledgeable professional. A comprehensive water damage inspection will provide you with thorough and precise information about the actual condition of the water damaged house, so that you can make an informed decision about whether to buy the property or not. Do not forget to request a copy of the home inspection report. Once you have a detailed home inspection report, you can get an assessment of the most probable cost of the necessary water damage repairs. Find two or three trustworthy contractors who have rich experience in water damage restoration and give them a copy of the home inspection. Ask them to assess the damage and make an estimate on how much the necessary repairs are going to cost, including the cost of mold removal and remediation (if relevant). If possible, have each of the contractors evaluate the home and assess the damage on site to get more accurate estimates. 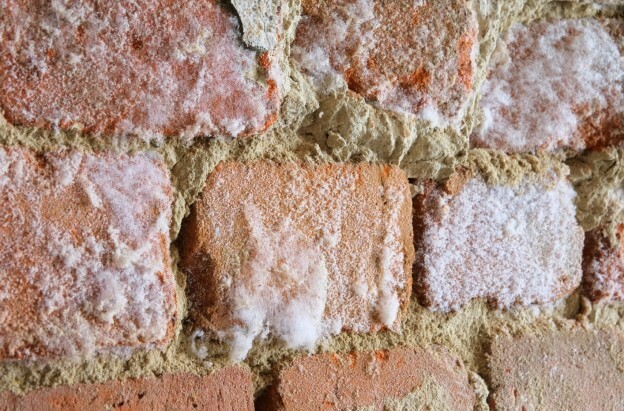 It’s important to know the actual restoration cost before placing a bid on the house – the excess moisture may have caused a variety of problems (water may have seeped through the walls soaking drywall and insulation, compromised the structural integrity of the house, created mold issues, etc. ), so it’s essential to factor in all water damage repair and mold remediation costs before making an offer. Once you determine what a fair offer would be, consult a real estate attorney to decide on your best course of action – work the restoration costs into the offer, negotiate price reduction, or have the seller make certain repairs before the offer is finalized. When submitting your bid to the seller, note in writing that your offer is based on the severity of the water damage and the expected restoration costs. 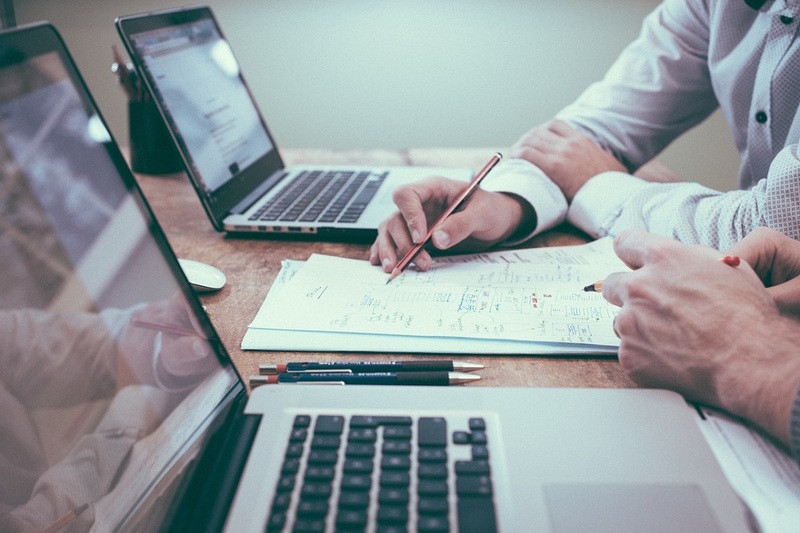 Negotiations may go back and forth for a while, but when a final deal has been agreed upon, you should request a copy of the sales contract and carefully read all the terms and clauses in it to make sure everything is correct and any contingencies you added are present. You may also want to consult an attorney before signing the contract, just to be on the safe side. Last but not least, in order to protect your investment when buying a water damaged house, you need to get proper insurance – obtain several homeowner’s insurance quotes and ensure the right coverage for your new home. 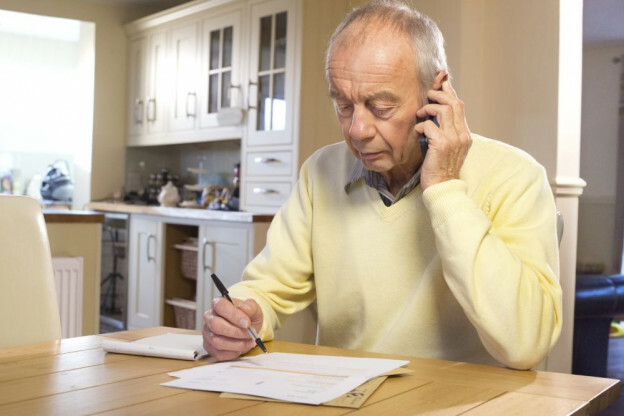 Contact several local insurance agencies, review your insurance options, and ask if any future problems related to previous water damage will be covered. Find out whether there’re any special conditions (higher prices, limited coverage, etc.) when insuring a home with a history of water damage. It is usually best to get a comprehensive policy when buying a house with mold and water damage. If your new property is located in a flood plain or in a region with a high risk of water damage, however, you may prefer to purchase specialized flood insurance. Once the home is officially yours (after you have closed the deal and signed the required paperwork), waste no time beginning the water damage restoration process – the damage will only get worse with time and the repairs will become more difficult, time-consuming, and expensive. Make sure you find experienced and trustworthy water damage restoration professionals like ServiceMaster Restoration and Cleaning to mitigate the damage and ensure the excellent condition of your new property as soon as possible. 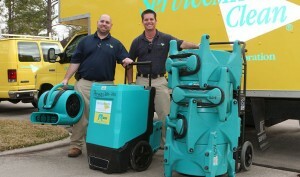 You can reach us 24/7 at (281) 358-0363 for water removal, flooding clean up, mold remediation, and any other water damage restoration services in the Houston, TX area – our qualified technicians have the proper licensing, rich experience, advanced equipment, and professional know-how to deal with any water damage situation and ensure a successful flood damage restoration.